The Lea Nursery is a 22-place nursery that is part of The Lea Primary School. We were rated GOOD by Ofsted in February 2018. Our Nursery is a safe and exciting place for children to learn. 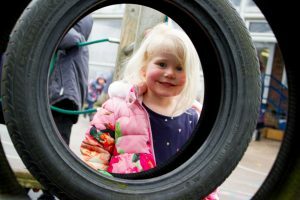 Our aim is to provide children with a positive and happy early start to their education and make their time here as joyful and successful as possible. Children can start our Nursery in the term after their third birthday. We offer flexible hours Monday to Friday during school time. Children are automatically entitled to 15 free hours a week and can either attend for three full days, or five half days. The school day starts at 08h55 and pick up is at 12h00 for morning sessions or 15h20 for full day sessions. Families meeting certain eligibility criteria may be entitled to 30 hours a week free provision. Information on this entitlement is available at www.childcarechoices.gov.uk. You will need to commit to a pattern for half a term and pay in advance, giving the office two weeks’ notice if you wish to change from one arrangement to another. We are registered with a number of childcare voucher schemes so please contact the school office if you would like to pay using this method. Children in Nursery are entitled to a free piece of fruit/veg at snack time, as part of the Government’s healthy eating programme. They also receive free school milk. If they are staying for lunch, they can either bring a packed lunch from home or have a nutritious cooked school dinner – see Meals for more information. 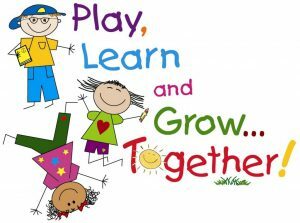 Nursery is at the start of the Early Years Foundation Stage where learning is carefully planned and structured, with an emphasis on activities that are fun and motivating for each child. 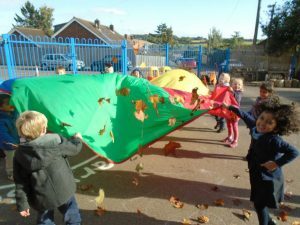 The EYFS curriculum supports children’s learning through planned and spontaneous play in a warm and friendly environment. Our Nursery is well equipped and the staff work tirelessly to enhance learning experiences for the children. Drawing on their observations of the children’s interests and fascinations, they sensitively extend learning and plan for the next steps so that children have every opportunity to make excellent progress. We offer a varied, balanced and rich curriculum which enables children to develop the skills they need for life-long learning and achievement. Click here to see our current timetable and curriculum map. The classroom is mostly open plan with areas for reading, writing, role play, construction, music, maths, investigation, ICT and creativity. The children also have access to IT equipment, musical instruments, the school’s library and outdoor classroom. 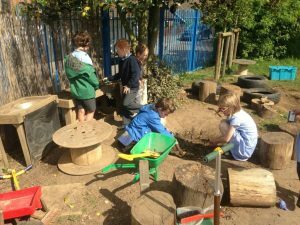 Our Nursery has a dedicated outdoor area that it shares with Reception. The outdoor learning environment includes a large covered indoor-outdoor area so children can go out in all weather, a climbing frame, mud kitchen, play sheds and a plethora of infant play equipment. Our children are given regular opportunities to visit and work with the rest of the school, to participate in assemblies and other whole school activities, which ensures a smooth transition to full-time education. We would love to show you around our beautiful Nursery and meet our wonderful team. If you would like to book a visit or if you have any further questions please contact our school office, and staff will be pleased to help you. For details on how to apply please see our Admissions page.